... here's another recipe from Jasmine's birthday lunch last weekend. It was a birthday surprise for her husband, so she had already prepared most of the ingredients (roasted beets, whipped up dressings, etc) - and had ordered some amazing pizzas from two great pizzerias in Mill Valley. In a roasting pan, toll the beets with the olive oil and a little salt. Roast in the heated over until tender, 40 to 50 minutes. Remove from the oven and let cool. Peel the beets and cut each beet in half through the root. Slice each half into 4 wedges. Set aside. 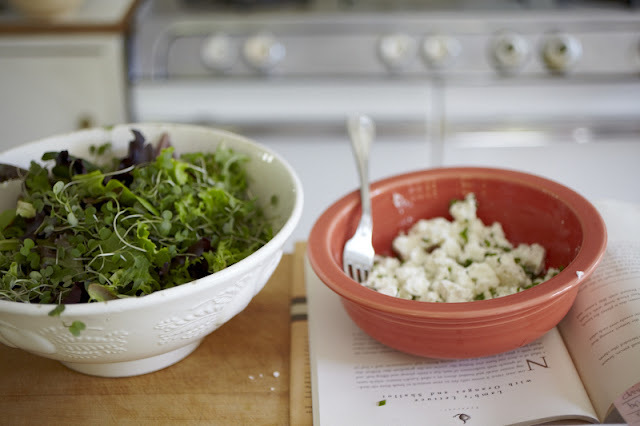 Place the lettuce in a large bowl. 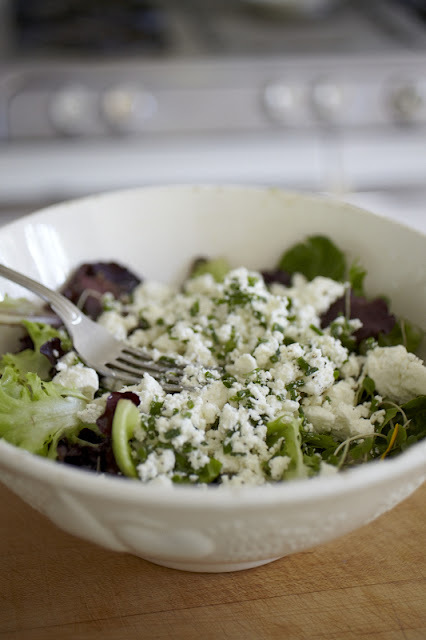 Make the dressing: In a small bowl whisk the mustard, salt, pepper, and vinegar. Pour in the olive oil in a slow, steady stream, whisking constantly until it emulsifies and thickens. Pour the dressing over the lettuce and toss to coat. 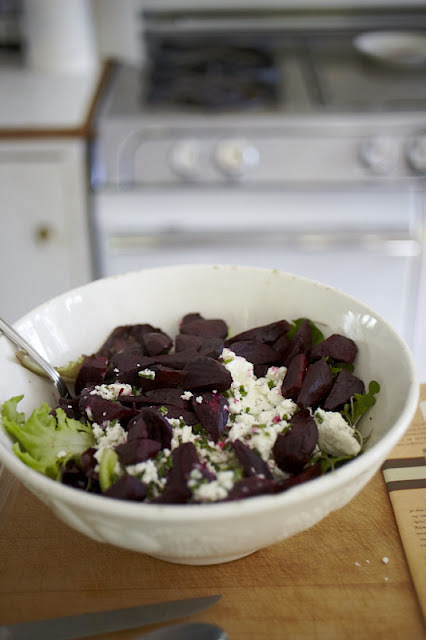 Spread the beet wedges and sprinkle the cheese evenly over each salad.